In 2-quart saucepan, heat oil over medium heat. Add onion; cook about 1 minute. Add garlic and tomatoes. Season to taste with salt and pepper; stir to combine. Add rosemary sprig to saucepan. Cook 10 to 15 minutes, crushing tomatoes with back of wooden spoon and stirring occasionally. Remove rosemary sprig and discard. 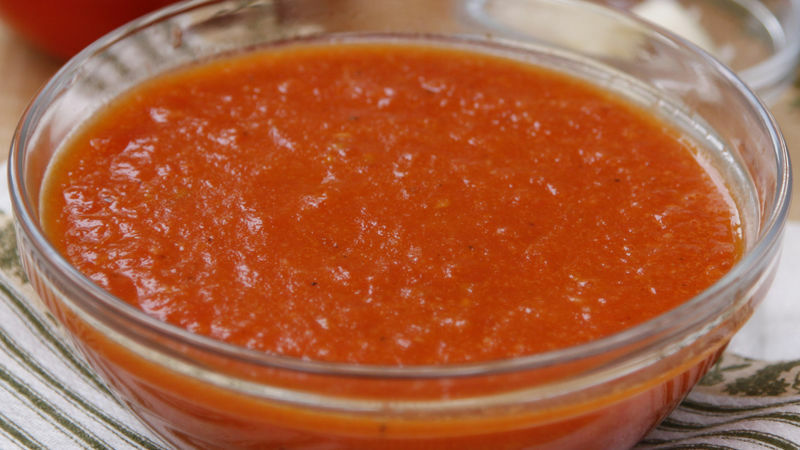 Pour sauce into blender or food processor; process with on-and-off pulses until smooth. Add chopped basil leaves for additional flavor, if desired.